The traditional tie-dye craft of the Bai ethnic group still thrives at an experiencing store in Xizhou Old Town, Dali prefecture. Tourists dip into the traditional tie-dye craft at an experiencing store in Xizhou. 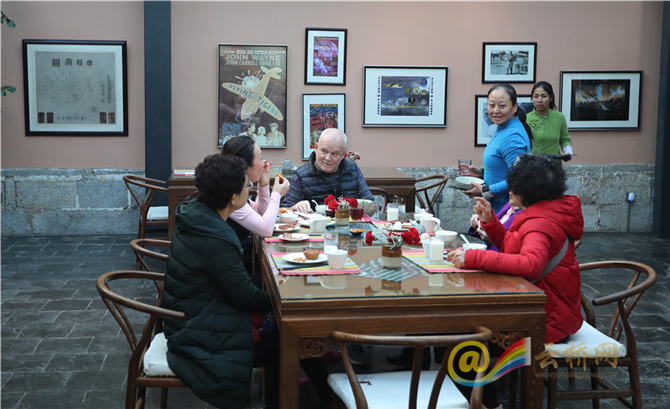 Foreigners enjoy their stay at Xilinyuan Boutique Inn in Xizhou Old Town.